The blister pedestrian surface of this tactile paving provides a warning to visually impaired people who would otherwise, in the absence of a kerb upstand less than 25mm high, find it difficult to differentiate between where the footway ends and the carriageway begins. 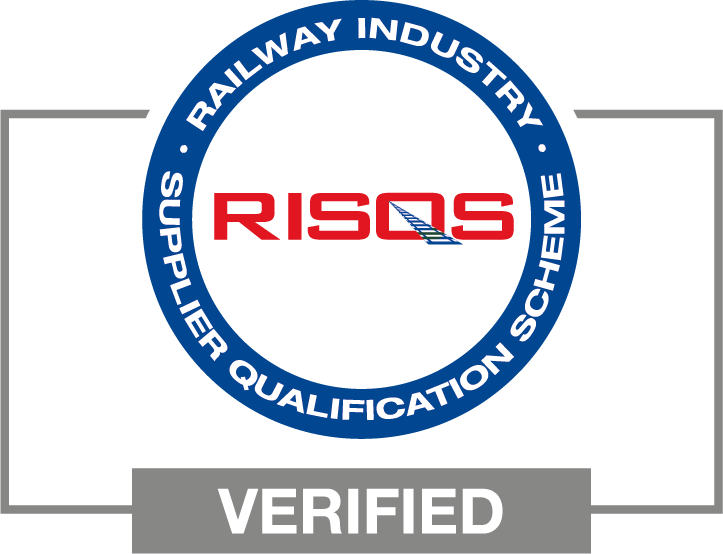 Quality assured – manufactured to BS EN ISO 9001-2000. 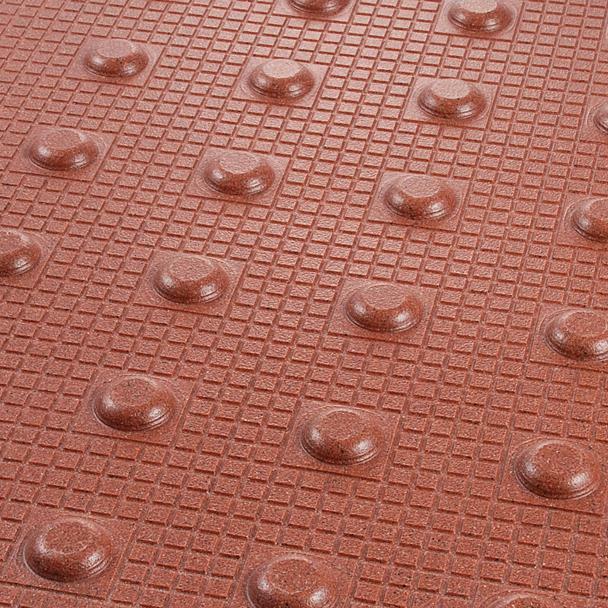 Building Investigation and Testing Services (Redhill) conducted a comparative wear test against a concrete blister slab and found the tactile paving had a wear resistance 7 times greater than the equivalent concrete product. Installation of the tactile surface system is both rapid & straightforward and is achieved using a colour matched, two part adhesive. No excavation is ever required. 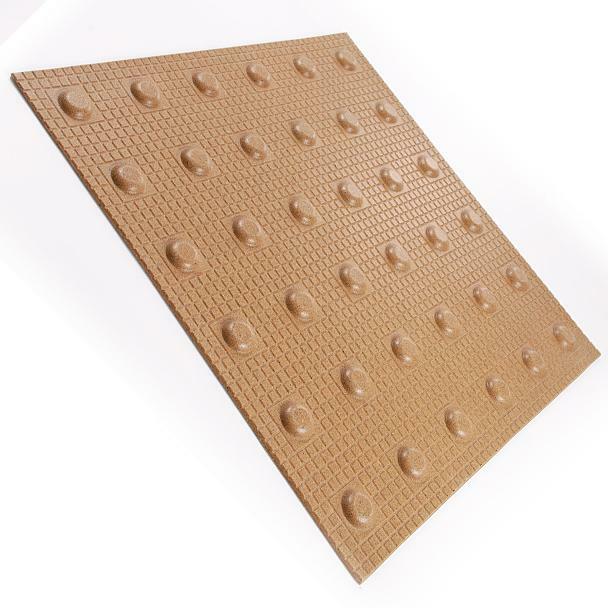 Small surface irregularities can be covered with the adhesive to ensure no cavities are left beneath the tiles. 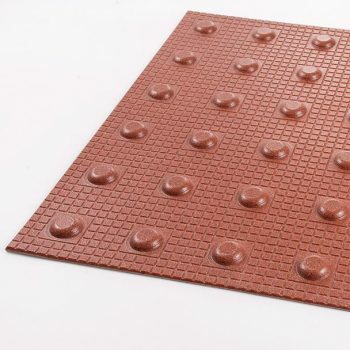 The tiles can be easily cut to follow kerb lines or to accommodate ramps and drain covers. They naturally deform over cambered, curved areas. For example, a typical installation to both sides of a controlled pedestrian crossing can be completed in less than 2 hours – reducing disruption to the public. Large areas e.g. railway platforms, can be achieved in overnight/possession times. 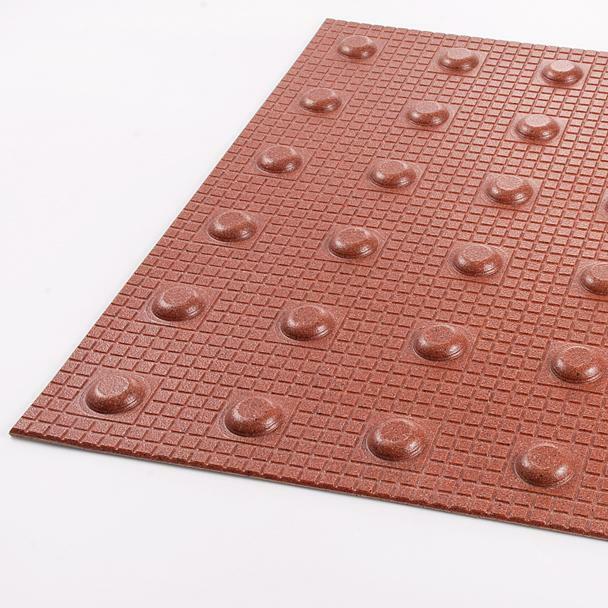 The tactile surface system can be laid on concrete, tarmac and steel surfaces using either standard urethane adhesive or the moisture tolerant epoxy system. Red units are used for controlled crossing points and buff units are used for uncontrolled crossing points. Applications include pedestrian crossings: controlled and uncontrolled, bus stops, traffic islands, car parks, kerbs and steps, changes of direction. Can be fixed to asphalt, concrete, steel, wood & tiled surfaces using a choice of dedicated adhesive. Provides a warning to visually impaired people who would otherwise find it difficult to differentiate between where the footway ends and the carriageway begins. The blister surface provides a warning to visually impaired people who would otherwise, in the absence of a kerb upstand less than 25mm high, find it difficult to differentiate between where the footway ends and the carriageway begins. The surface is, therefore, an essential safety feature for this group of road users at pedestrian crossing points, where the footway is flush with the carriageway to enable wheelchair users to cross unimpeded. 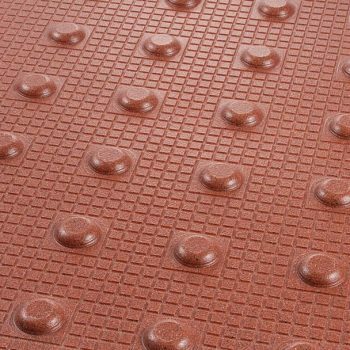 The tiles are made from a hard wearing stone and resin composite moulded to create paving which will outperform equivalent concrete product. Tests conducted at the Transport Research Laboratory on product conditioned at 40oC found no measurable loss in height at the end of a scuffing test.